Stephen Kutay (left) and Ellen Jarosz (right) created the pictorial book, “California State University, Northridge History (Campus History),” to honor the past 60 years of the university’s history. The first official pictorial history book on California State University, Northridge – since the early 1990s – was recently published, depicting the university’s meteoric rise and growth from its founding in 1958 to the present day. 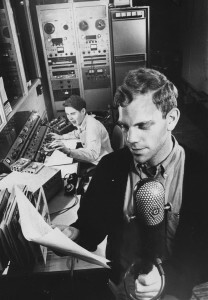 California State University, Northridge’s public radio station, 88.5 FM, previously known as KCSN, was established on campus in the 1960s. Photo courtesy of California State University, Northridge (Campus History). 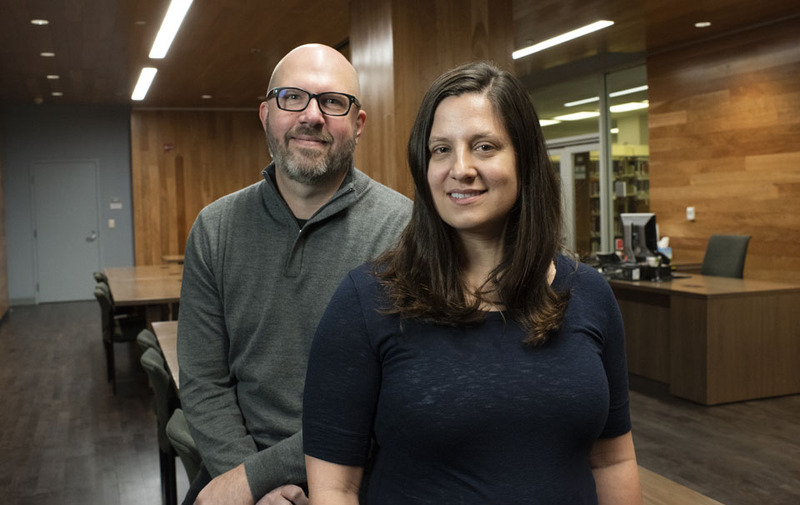 Ellen Jarosz, head of CSUN’s Special Collections and Archives, and Stephen Kutay, digital service librarian, authored the book, “California State University, Northridge (Campus History),” to showcase the university’s history over the course of the past 60 years. Kutay and Jarosz said they wanted to bring the student experience into perspective, to represent the daily facets of the CSUN community. In 1958, CSUN was known as San Fernando Valley State College, and the college graduated just 90 students at its first commencement ceremony. Today, the university is home to about 40,000 students — one of the most diverse student populations in the country. The institution has expanded to boast bachelor’s degrees in 133 programs, 84 master’s degree options, and doctorates in educational leadership and physical therapy, according to CSUN’s Department of Admissions and Records. 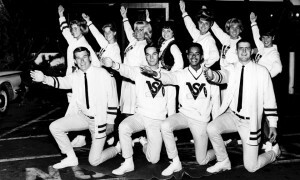 CSUN has a multitude of clubs and organizations that have been the center of campus life for students since the 1960s. Photo courtesy of California State University, Northridge (Campus History). Kutay and Jarosz noted that CSUN’s student and faculty engagement has been a constant force in CSUN’s culture, especially through continuous activism. 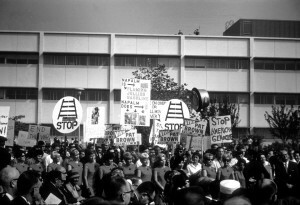 The theme of activism is represented in the book and starts to appear in the book’s section on the 1960s, when students and faculty protested for the establishment of equal opportunities for minority students. 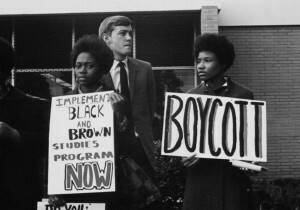 After multiple events, the university established the Africana and Chicana/o Studies departments. CSUN’s history of activism has established diversity among students and programs on campus. Photo courtesy of California State University, Northridge (Campus History). After being contacted by Arcadia Publishing to create the book it took Jarosz and Kutay about a year — with the help of many CSUN staff, including campus photographer Lee Choo and Mark Stover, dean of the Delmar T. Oviatt Library — to put the volume together. “The process was like creating an exhibit in a book form. The photographs were selected to [cultivate] a long historical narrative,” Kutay said. Scenes from a campus protest in the 1960s. Photo courtesy of California State University, Northridge (Campus History). The images were primarily sourced from CSUN archives, which contain thousands of images organized by topic instead of date, and made for a challenging and time-consuming process to tell a clear story. For more information about “California State University, Northridge (Campus History),” visit: https://www.arcadiapublishing.com/Products/9781467129954.